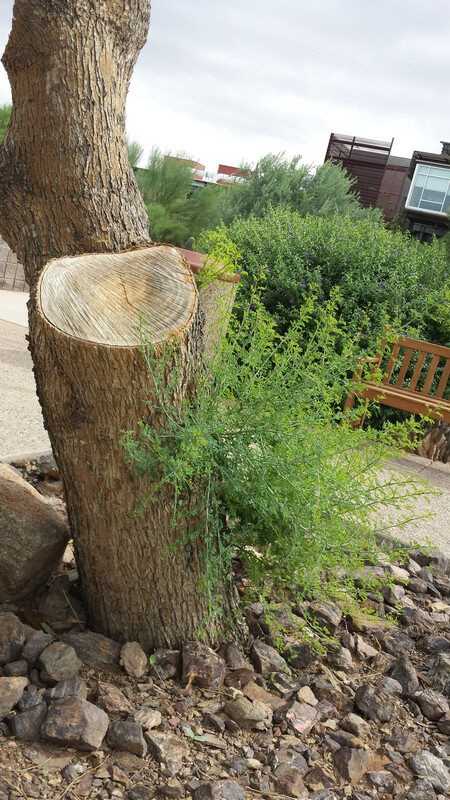 Origin: Arizona native, lower Sonoran Desert subdivision dry wash riparian tree. Landscape Use: Excellent wide spreading medium-sized native desert tree for large xeric landscape sites. Not street or lawn tree. Blue palo verde is not suitable for planting around signage because of its naturally low and spreading crown structure. Growth Habit: Partially deciduous tree with moderately vigorous growth to 30 feet with equal to greater spread. Foliage/texture: Small bluish-green pinnately compound leaves, 2 to 6 leaflets, drought deciduous during drier times of year if non-irrigated, imbricate fine branching patterns of small twigs and stems help to create a relatively fine texture. Flowers & fruits: Clusters of lemon yellow flowers, 2 to 4 inches in size, cast the entire tree in yellow color; followed by less visible display of brown pod fruit. Fruit pods are 2 to 3 inches long. 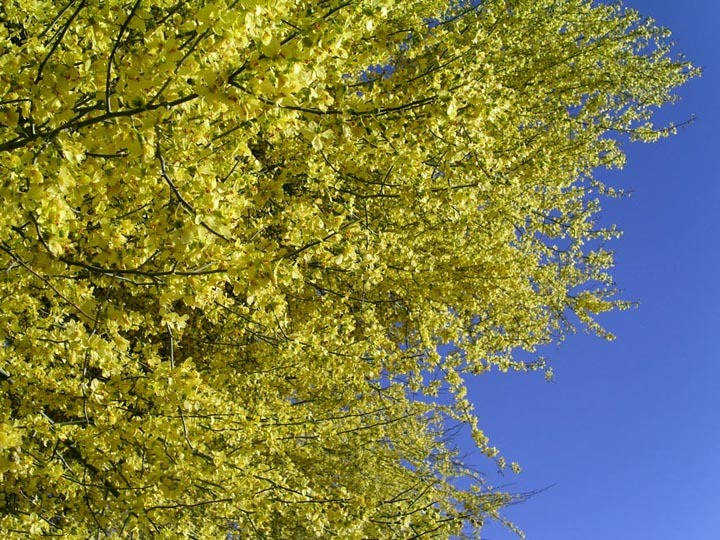 Seasonal color: Masses of yellow flowers in early to mid April. Also, the foliage turns a distinct bluish-green color during the summer monsoon season. Watering: None after establishment, Supplemental irrigations greatly increase vigor and canopy density. Usually landscape specimens are larger than trees found in the desert due to landscape irrigation. Pruning: Moderate to high pruning requirements including raising the crown base height to give a more urban friendly tree form. Sometimes well meaning 'arborists' get carried away and crown raise Parkinsonia excessively. Pruning wounds resulting from this are problematic and can produces adventitious water sprouts that will need to be removed if trees are well watered. Propagation: Seed, readily hybridizes with other Parkinsonia sp. 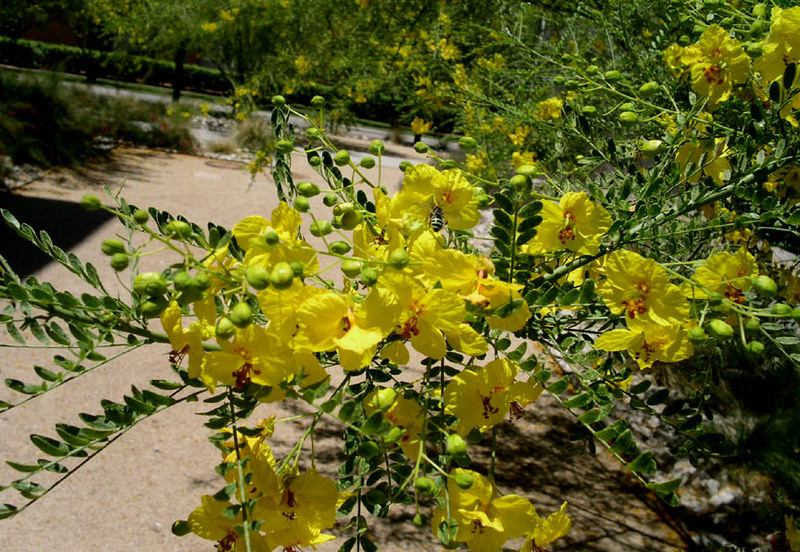 Additional comments: Blue palo verde is the Arizona state tree. It attracts bees when in flower and is a habitat for birds year round. Salvage operations transplant native blue palo verde trees into landscape sites using a technique called 'side boxing'. Palo verde trees serve as nurse plants for young saguaro cacti by providing an overstory canopy, a microhabitat, which moderates the temperatures extremes of the desert by providing warmth in winter and shade in summer. Irish botanist Thomas Coulter was the first trained botanist to collect and identify blue palo verde. He obtained specimens near Hermosillo, Sonora in 1830. 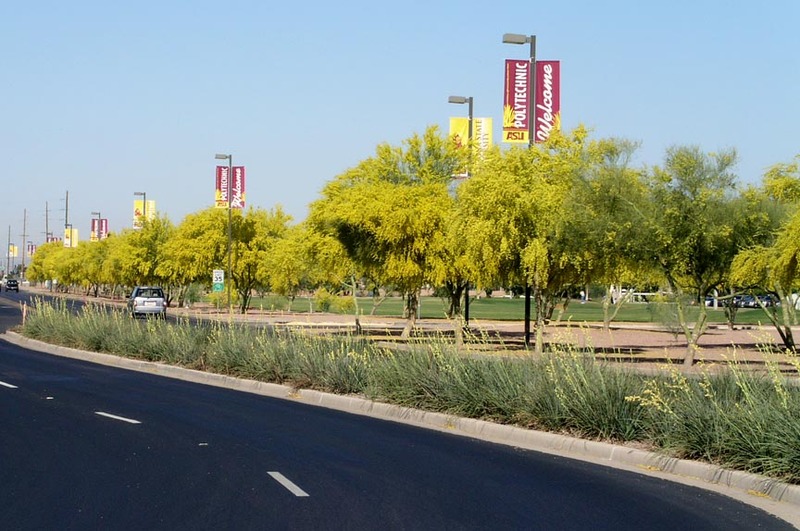 In recent years, blue palo verde has been hybridized with other Parkinsonia species to give many Parkinsonia hybrid cultivars that are presently popular landscape trees in the Phoenix area. 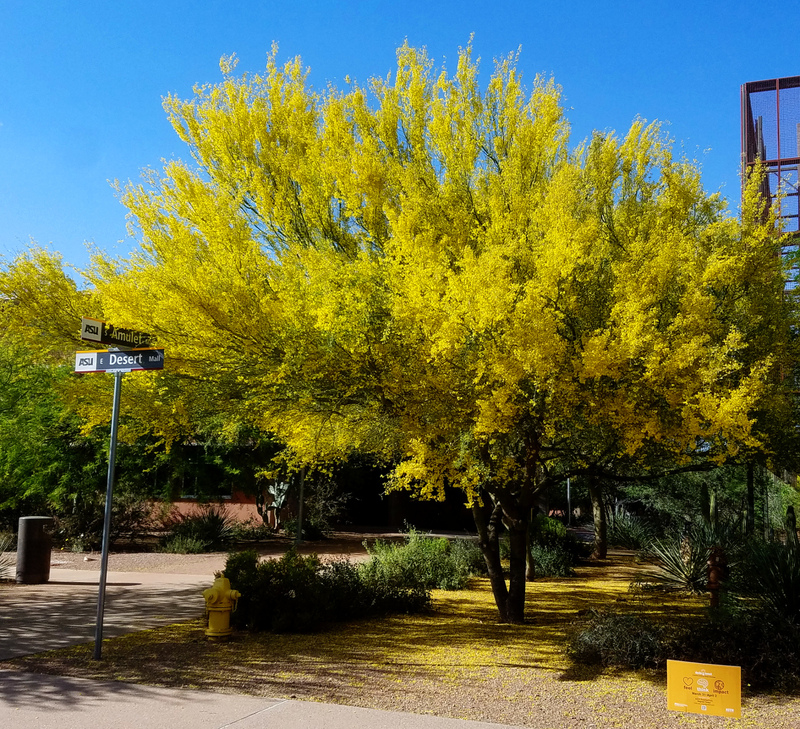 Tree selections such as the cross cultivar 'Desert Museum' (introduced by the Arizona Sonora Desert Museum in 1981) are known for their large and prolific yellow flowers, poor, weak and failing branch and root structure, and intense flower litter. The good news is that there are now many other Parkinsonia hybrid cultivars that are superior in form and habit.